Violence Archives - Corey Lee Wrenn, Ph.D. Although emotions are individually experienced, they are often socially triggered. Emotions link humans with other humans (and other animals). This allows for important bonding, empathy, and cooperation. Social movements find that emotions are very important for mobilizing protest, too (Jasper 1998). These sorts of emotions can include joy, excitement, fear, and even aggression. For activists interested in nurturing peace, it is worth understanding the mechanics of emotion in social spaces. This is particularly so when it comes to aggression since aggression can undermine social justice efforts. Social movements do not only focus on the emotions of their own activists. They must also concern themselves with the emotions of constituents and countermovement participants. Just as joy or frustration may motivate folks into collective action, anger or aggression can manifest as resistance in the public. 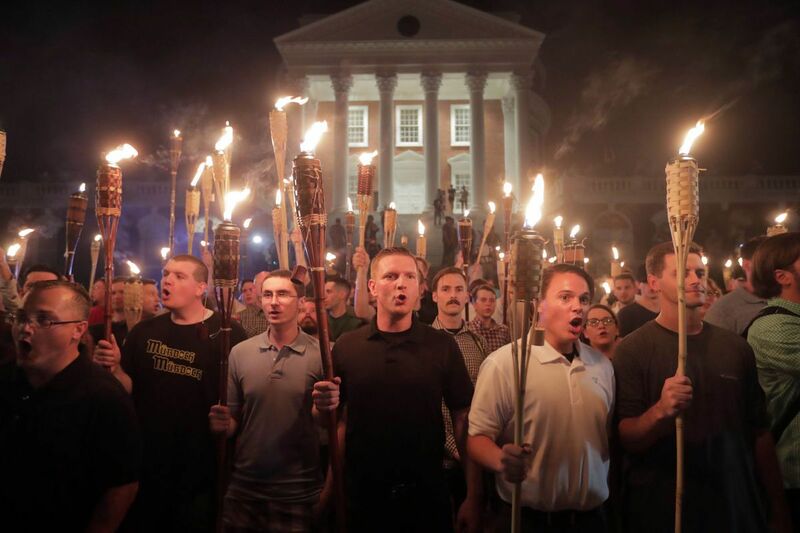 Essentially, in group settings, a mob-like effect can take hold as the presence of more people can increase aggressive tendencies (Mullen 1986). This explains aggression in gangs as well as in lynch mobs. Protests that are intended to confront large groups of people could easily trigger this group-level aggression. This is why, for instance, the Charlottesville hate march so easily spiraled into aggressive conflict. Emotions are easily aroused by the presence of others. More importantly, the presence of others allows for the diffusion of responsibility. Antisocial tendencies can, ironically, spike in social situations. Vegan protests that do not take into consideration the relationship between group size and aggression could run into trouble. Researchers find that, when prompted, individuals are much less likely to react with aggression than groups (Gaebelein and Mander 1978). Why? They feel they are personally responsible for any negative consequences. The social psychological tendency for aggression to spike in group settings is also relevant to the wellbeing of Nonhuman Animals. 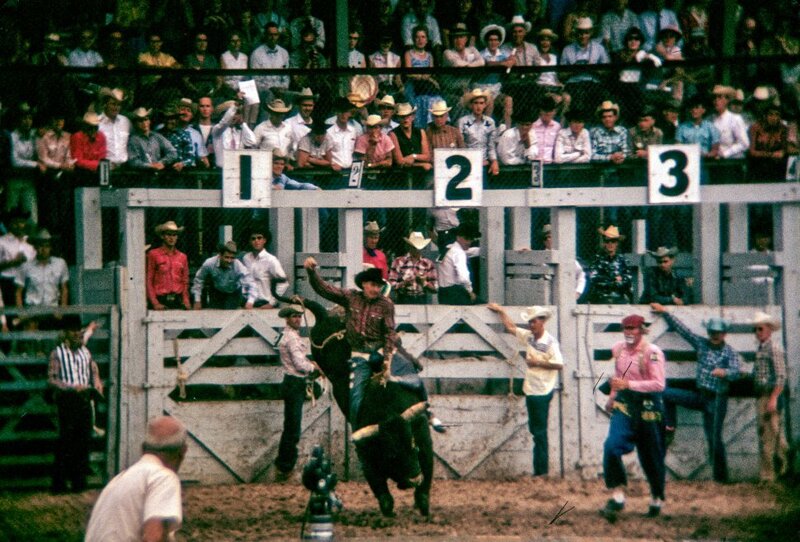 Excessive violence against other animals in gruesome rituals such as “bullfighting,” “cockfighting,” “bearbaiting,” and “dogfighting,” for instance, is predictable based on the large presence of humans. The power of groups on emotive, anti-social behavior can also be observed in shared food rituals (such as barbeques), entertainment (such as “horseracing”), and science (such as vivisection). Groups allow for the diffusion of responsibility. Groups also create a shared emotional experience that bonds the individual to the group and their behavior. In addition to tailoring vegan protest to avoid confrontations with a group of emotionally-charged humans, vegans should tailor campaigns to help Nonhuman Animals avoid aggressive human groups as well. Vegan strategies that trigger social responsibility will be more successful than strategies that allow for constituents to diffuse responsibility amid the group. Gaebelein, J. and A. Mander. 1978. “Consequences for Targets of Aggression as a Function of Aggressor and Instigator roles: Three Experiments.” Personality and Social Psychology Bulletin 4 (3): 465-468. Jasper, J. 1998. “The Emotions of Protest: Affective and Reactive Emotions In and Around Social Movements.” Sociological Forum 13 (3): 397-424. Mullen, B. 1986. “Atrocity as a Function of Lynch Mob Composition.” Personality and Social Psychology Bulletin 12 (2): 187-197. Readers can learn more about the social psychology of veganism in my 2016 publication, A Rational Approach to Animal Rights. Receive research updates straight to your inbox by subscribing to my newsletter. In vegan advocacy, there is some degree of contention regarding the use of reasoned arguments (such as intellectual appeals or theory) and emotional arguments (using images or descriptions that create emotional reactions). Research supports that the utility of reason and emotion in advocacy depends on the audience. If the audience is analytically minded, they will probably be more responsive to a rational approach. Peripheral information may be more useful for audiences that are uninterested in the message. The Nonhuman Animal rights movement certainly utilizes both reason and emotion to persuade. Theoretical arguments may dominate the academic realm of anti-speciesism, but social movement organizations rely quite heavily on emotional appeals with graphic or shocking imagery and celebrity endorsements. Again, the nature of the audience will determine the effectiveness of emotional appeals. As one example, some research indicates that graphic Nonhuman Animal rights imagery is more effective with liberal audiences and less effective on conservative religious audiences. Emotion tends to be the greatest incentive for behavioral change, but using emotion to persuade can be tricky. For one, a reliance on peripheral cues and emotional appeals means that participants are recruited without having to understand the issues. Consider a charity to feed children in Africa: sad images and brief appeals are made to successfully encourage viewers to donate money. This may spark action, but Western viewers are not encouraged to understand the structural causes for this suffering and how their participation in globally exploitative or politically oppressive practices may actually be aggravating the problem. Viewers don’t know exactly why hunger in Africa manifests or if donating schemes are really the best solution, but the morally shocking images persuade them to act. In Nonhuman Animal rights, there is real potential for new recruits to fall into familiar, but unproductive reform-oriented pathways. New advocates who are burdened with the traumatic knowledge of exploitation are often frantic, furious, and desperate to do something for other animals “right now.” Because emotional tactics are favored by reformist organizations, welfare reform becomes the default response for new vegans. This is not to say that emotions are not powerful motivators in social movement mobilization, but they should be used cautiously. Cacioppo et al. 1983. “Effects of Need for Cognition on Message Evaluation, Recall, and Persuasion.” Journal of Personality and Social Psychology 45: 805-818. Cacioppo et al. 1996. “Dispositional Differences in Cognitive Motivation: The Life and Times of Individuals Varying in Need for Cognition.” Psychological Bulletin 119: 197-253. Chaiken, S. 1980. “Heuristic versus Systematic Information Processing and the Use of Source Versus Message Cues in Persuasion.” Journal of Personality and Social Psychology 39: 752-766. Edwards, K. 1990. “The Interplay of Affect and Cognition in Attitude Formation and Change.” Journal of Personality and Social Psychology 59: 202-216. Fabrigar and Petty. 1999. “The Role of the Affective and Cognitive Bases of Attitudes in Susceptibility to Affectively and Cognitively Based Persuasion.” Personality and Social Psychology Bulletin 25: 363-381. Hovland et al. 1949. Experiments on Mass Communication. Studies in Social Psychology in World War II (Vol. 3). Princeton, NJ: Princeton University Press. Monteiro, C. 2012. “The Effects of Graphic Images on Attitudes Towards Animal Rights.” Action Reports, FARM. Petty et al. 1981. “Personal Involvement as a Determinant of Argument-Based Persuasion.” Journal of Personality and Social Psychology 41: 847-855. Wrenn, C. 2013. “Resonance of Moral Shocks in Abolitionist Animal Rights Advocacy: Overcoming Contextual Constraints.” Society & Animals 21 (4): 379 – 394. This essay was originally published on The Examiner in 2012. The ethical conundrum created by human interactions with poisonous species is one that tests the limits of vegan ethics. What is the correct path of action if one should come across a potentially deadly black widow spider, for instance? Can veganism’s commitment to nonviolence resist the intense social pressure to kill these beings on sight? As with many questions about the practicality of veganism, speciesism interferes with clear decision-making. Humans harbor implicit biases about other animals which puts them at a disadvantage in perceived conflicts of interest. The stigma surrounding black widow spiders, for instance, is built on a certain amount of ignorance (unfamiliarity with the species) and stereotyping (loosely-fitting generalizations). Mass media, which frequently portrays spiders as villainous, lurking, and evil, also inhibits rational consideration. 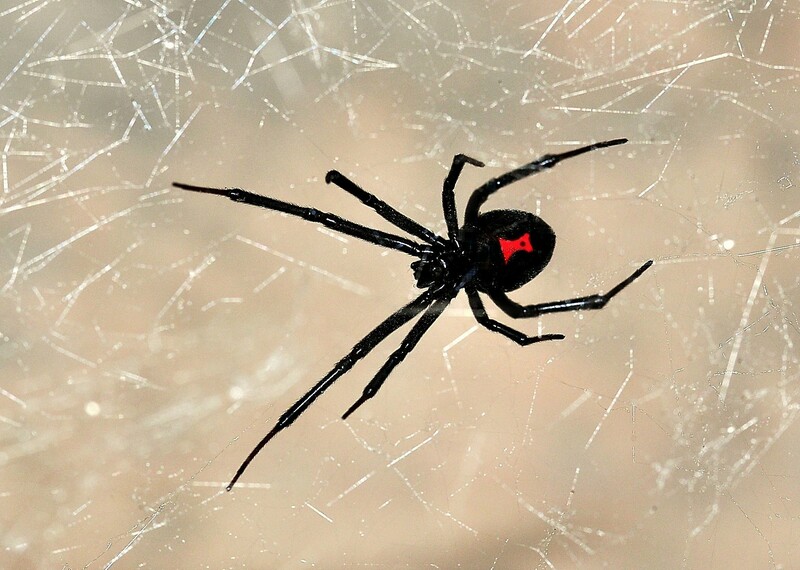 The true nature of black widows contradicts common conceptions. First, they are quite clumsy outside of their web. This means that they are homebodies, rarely out on the prowl and not likely to give chase. Neither are they very brave. If their foe is formidable (as would be a large human), they prefer escape over attack. Most importantly, statistically few humans are bitten, and very few of these will actually die. Of course, these facts do little to mitigate the fear of pain and death that black widows exact. It is hard to remain rational when suddenly encountering them. I have personally seen a few black widows over the years, but only one of these instances I could consider a close call. I was home alone preparing for a tubing trip on the river. I dragged out a bunch of old inner tubes that had been stacked in the backyard, attempted to hose some of the mud off, then started cramming them into the trunk of my car. I probably spent a good five minutes jamming them in, repositioning them, and smashing them with my bare hands. My friend met me at the gas station a few minutes later to fill the tubes up with air. As I handed him the second tube, he recoiled and let out a yell: there was a black widow amidst the rubber. He was shaken; he could have been bitten. Acutely remembering my sloppy packing job, I realized that I could have been bitten as well. My friend, who knew me to be a vegan, said to me: “You know we can’t let that spider live.” I considered the fact that he may be right as we were in a busy public space. But he didn’t kill her, and neither did I. She clung to the air pumping station while we worked, and when we were done, we loaded up and left. I didn’t see her anymore, and presumed she had scuttled away. Of course, not everyone’s choices are so simple. Sometimes deadly spiders take up residence with families that have children or elderly persons. Some people live in geographic hot spots that attract far too many black widows to safely live side by side with. Complicating this is that medical treatment for bites are not vegan. The antivenin (for those lucky enough to receive it) is produced by hurting other spiders. Horses and other animals are also used in testing the product. The case for black widow spiders challenges the core of the vegan ethic: is it ever acceptable to kill another in a situation of potential danger? Unfortunately, these ethical catch-22s are too frequently used to dismiss veganism altogether under the faulty deductive logic that, because moral purity is impossible, veganism is also impossible. While black widows do present a murky ethical situation, most of our relationships and encounters with Nonhuman Animals are not life or death situations and do not require killings of necessity. The uncertainty of how to handle the chance encounter with a black widow holds little relevance to the certainty of systematic exploitation of Nonhuman Animals killed for food, clothing, and entertainment. Unlike black widows, these species do not pose any threat to humans; indeed, they suffer and die only to meet production quotas and consumer demands. Being vegan is a guiding practice, not a dogma. It encourages striving for perfection only as far as is reasonable. Just because some vegans may resort to killing insects in rare and regrettable situations (and it is not something that vegans take likely or enjoy doing), this is not cause to toss veganism out the window as useless or unrealistic. Vegan ethics advise compromise and life-affirming, creative solutions. In many instances, the best solution to problems is to avoid them in the first place and take preventative measures. Keeping a tidy, clean home, applying insect repellent, and checking your shoes before putting them on are some easy ways to nurture coexistence with insects, be they biting, stinging, or deadly. An earlier version of this essay first appeared on the Academic Activist Vegan on September 17, 2013. Readers can learn more about the politics of veganism in my 2016 publication, A Rational Approach to Animal Rights. Receive research updates straight to your inbox by subscribing to my newsletter. The following literature review is part of a series for World Vegan Month. Other essays can be accessed by visiting the essays catalog. Chenoweth, E. and M. Stephan. 2011. 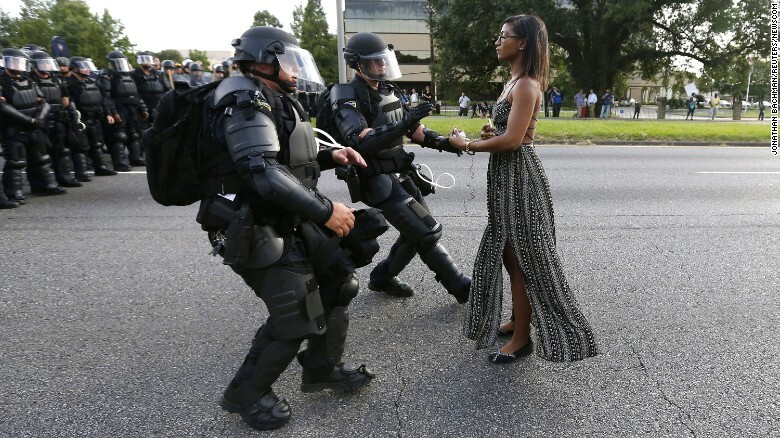 Why Civil Resistance Works: The Strategic Logic of Nonviolent Conflict. New York, NY: Columbia University Press. Combining statistical analysis with case studies of specific countries and territories, Erica Chenoweth and Maria J. Stephan detail the factors enabling such campaigns to succeed and, sometimes, causing them to fail. 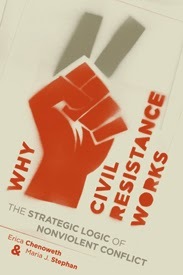 They find that nonviolent resistance presents fewer obstacles to moral and physical involvement and commitment, and that higher levels of participation contribute to enhanced resilience, greater opportunities for tactical innovation and civic disruption (and therefore less incentive for a regime to maintain its status quo), and shifts in loyalty among opponents’ erstwhile supporters, including members of the military establishment. I can’t keep count of how many times I’ve cited this book. The Nonhuman Animal rights movement has a penchant for violence. For two reasons. First, the movement is male-led, thus valuing male approaches to social change and interactions. Second, speciesism is such a massive social problem, many become frustrated and turn to violence in desperation. Unfortunately, the history of social movements does not support the success of violent tactics (or, in some cases, the lasting success of violent tactics). The movement for other animals has been defined by its violence, though violence is only one of many other tactics in its repertoire. This stereotype has been used to reinforce sanctions against Nonhuman Animal rights activism and gives the public one more reason to dismiss anti-speciesism. Steve Best of the Animal Liberation Front is of the persuasion that seeing media coverage of violent advocacy will inspire others to join the cause. I agree with Chenoweth and Stephan that Best’s predictions are mostly unfounded. Violent movements are not so successful at attracting more activists. In fact, violence repels them. For those who are attracted, we have to consider what types of people are being attracted. In the case of anti-speciesism, it tends to be young, white males who have internalized masculine notions of dominance, power, control, and entitlement. In other words, pro-violence anti-speciesism is seeking to build a movement that mirrors the society it wishes to restructure. Readers can learn more about effective animal advocacy and the dangers of violent tactics in my 2016 publication, A Rational Approach to Animal Rights. This essay was originally published on The Academic Activist Vegan on November 6, 2013. Dr. Wrenn is Lecturer of Sociology with the School of Social Policy, Sociology and Social Research at the University of Kent. She received her Ph.D. in Sociology with Colorado State University in 2016. She received her M.S. in Sociology in 2008 and her B.A. in Political Science in 2005, both from Virginia Tech. She was awarded Exemplary Diversity Scholar, 2016 by the University of Michigan’s National Center for Institutional Diversity. She served as council member with the American Sociological Association’s Animals & Society section (2013-2016) and was elected Chair in 2018. She serves as Book Review Editor to Society & Animals and has been published in several peer-reviewed academic journals including the Journal of Gender Studies, Feminist Media Studies, Disability & Society, Food, Culture & Society, and Society & Animals. In July 2013, she founded the Vegan Feminist Network, an academic-activist project engaging intersectional social justice praxis. She is the author of ;A Rational Approach to Animal Rights: Extensions in Abolitionist Theory(Palgrave MacMillan 2016) and Piecemeal Protest: Animal Rights in the Age of Nonprofits (University of Michigan Press 2020). Receive research updates straight to your inbox by subscribing to my newsletter.